There has been a blitzkrieg of debate since the Brewers Association penned the op-ed piece in the St. Louis Post-Dispatch calling out non-craft breweries that were marketing their beers as such. Of course, that didn’t sit well with the large breweries, and it’s even caused some waves among craft breweries and enthusiasts. The Craft Beer Cellar, a beer store dedicated to selling only craft beers, sent a letter to the Brewers Association asking it to tweak the definition of “traditional” to include craft brewers whose off-the-wall brews might not be bound by definitions. 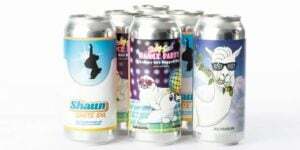 The Craft Beer Cellar pointed to their customers’ displeasure with its decision to stop carrying beer made by Narragansett, which totes a flagship beer — Narragansett Lager — that is an adjunct beer brewed with corn and rice. 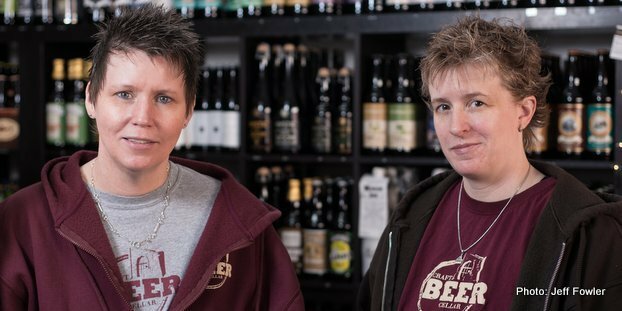 Craft Beer Cellar founders Suzanne Schalow and Kate Baker urge the Brewers Association to amend the craft beer definition. The Cellar agrees that adjuncts used to lighten color, lessen flavor and lower costs are not craft beers, but it doesn’t want to limit the creativity of the growing craft segment. In response, the Craft Beer Cellar put Narragansett back on its shelves and gave suggestions for how the Brewers Association could amend the definition. Read the full letter at NoCrapBeer.com for all the details. While the decision to draw the “craft” line in the beer sand wasn’t easy, it was something that some Brewers Association members were glad to see the association do, Brewers Association director Paul Gatza told Craft Brewing Business in a previous interview. As more industry members take a stand on the craft issue, only time will tell what will stand as craft. Got a thought on what you consider “craft beer”? Sound off in the comment section below.